Julie Novak joined Big Brothers Big Sisters of America in 2004. As Vice President of Youth Protection, she serves as Big Brothers Big Sisters of America’s leading expert and national spokesperson on matters related to child safety and youth protection. She leads the nationwide advancement of effective child abuse prevention and crisis response strategies throughout Big Brothers Big Sisters’ network, working collaboratively with other national experts from organizations that include: The National Center for Missing & Exploited Children, The Crimes Against Children Research Center, Centers for Disease Control, The Nonprofit Risk Management Center, and local, state, and federal law enforcement authorities. 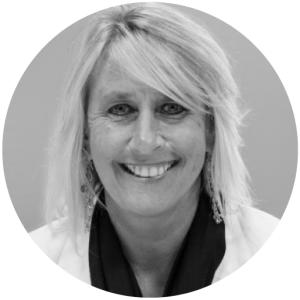 Julie develops and provides statewide and national training and consultation on child abuse prevention, violence prevention, and crisis management. Thousands of professionals across Big Brothers Big Sisters’ network and other community-based youth-serving organizations have attended her trainings. She has served as a member of the National Coalition to Prevent Child Sexual Abuse & Exploitation; United States Olympic Committee’s Safe Sport Working Group; Vice President Biden’s Gun Violence Task Force; LexisNexis/First Advantage’s Customer Advisory Board; and the National Center for Missing & Exploited Children’s Safe to Compete Working Group. Julie has participated in hundreds of hours of professional training in the prevention of child abuse, exploitation, violence prevention, and risk management through: Chadwick Center – San Diego Children’s Hospital; Prevent Child Abuse America; the National Center for Missing & Exploited Children; the National Children's Advocacy Center; the National Child Protection Training Center; the U.S. Office of Juvenile Justice & Delinquency Prevention; the Nonprofit Risk Management Center; Crimes Against Children Research Center; and the U.S. Department of Justice. Prior to starting to work for Big Brothers Big Sisters of America, Julie served as CEO of Big Brothers Big Sisters of Northwestern Wisconsin for 11 years. At BBBS of Northwestern Wisconsin, she secured and administered collaborative local, statewide, and federal violence prevention initiatives while expanding the organization’s service to children by over 400%. She also served as a grant reviewer for the Wisconsin State Department of Justice, an Executive Committee Member of the Eau Claire YMCA, President of Big Brothers Big Sisters of Wisconsin, helped found the Boys and Girls Club of the Greater Chippewa Valley, and served as Nationwide Leadership Council Vice Chair, Big Brothers Big Sisters of America. After graduating from the University of Iowa she served for three years as a sexual assault and domestic violence victims’ advocate. She resides in Eau Claire, Wisconsin.